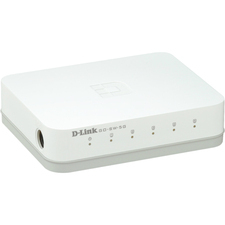 For a high-speed network on a small scale, nothing delivers likes this compact powerhouse. 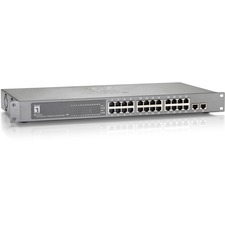 Equipped with five auto-speed-sensing 10/100/1000 Mbps UTP ports, this affordable switch gives your network the capacity to handle huge workloads. It moves very large files across your network instantly, and lets you painlessly integrate 10, 100, and 1000 Mbps devices on your network. 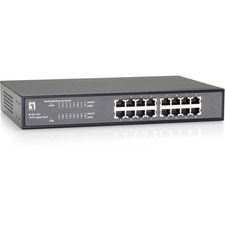 Packed with ease-of-use features to simplify your networking experience, its trim design makes it an easy fit for a desk or mounted on a wall. The durable metal chassis protects interior working parts and the fan-less design results in silent operation. 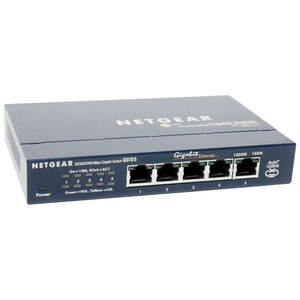 Matched with Netgears thorough testing, the GS105 switch provides long-lasting performance you can count on. 0.98" x 6.22" x 4.13"